Whenever Rihanna debuts fierce new makeup, it’s usually the handiwork of Priscilla Ono (if not RiRi herself, of course). 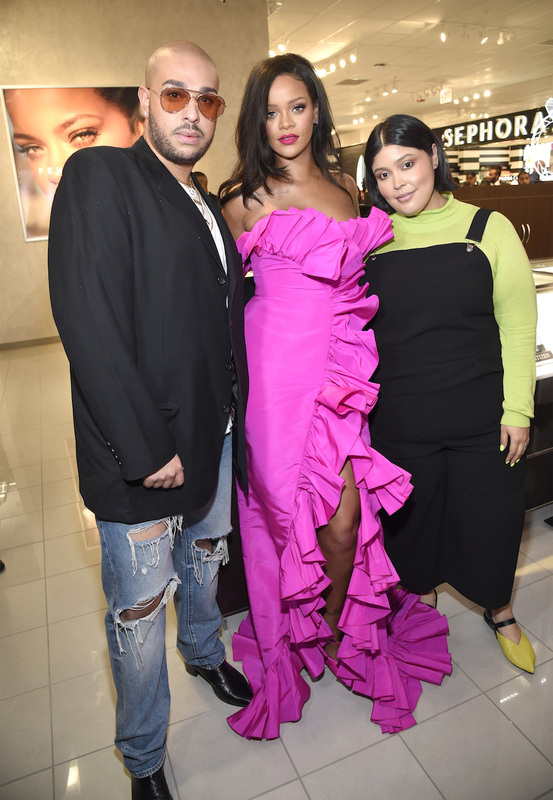 Ono is both Rihanna’s personal makeup guru as well as one of Fenty Beauty’s Global Makeup Artists, so she’s who we can thank (alongside Hector Espinal) for the beauty inspo constantly filling our Instagram feeds. 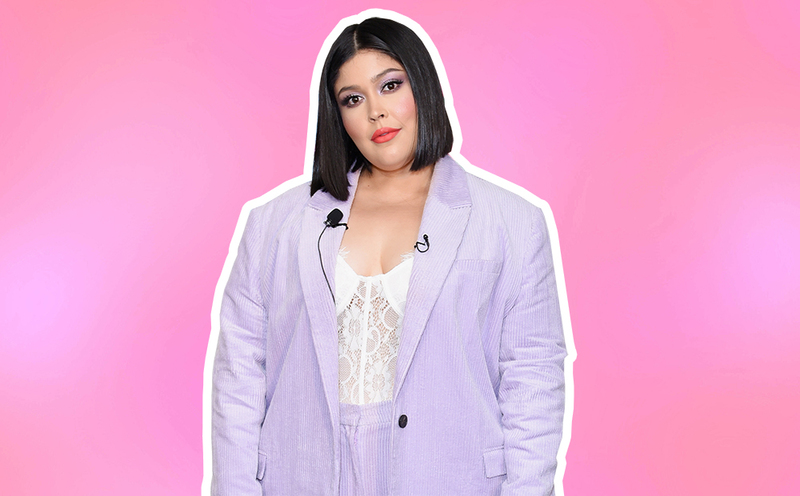 We also talked to Ono about working with Rihanna, the one product she keeps in her kit, and the makeup hack she uses to keep Rih’s skin glowy during winter. HG: Can we start with fall and winter makeup tips? PO: Yes! When it comes to fall and winter, the first thing I think about is skin, because obviously people get more dry then. I think that people have a lot of problems when it comes to picking the right foundation because they tend to always go for more of the hydrating kind, but those foundations aren’t durable, especially for party makeup. And there’s a lot of parties—holiday parties, Christmas parties, New Year’s parties—so you definitely want your makeup to last. You want to wear a longwear foundation, like Fenty Pro Filt’r. For people who sometimes feel like it can be a little dry, especially in this season, one of my hacks is I always like to mix a little bit of facial cream or facial oil. I love facial oils, like two drops into your foundation, mix it, apply it, and your skin looks gorgeous. It’s hydrating and it lasts all night, which is great. HG: Do you always suggest using a primer? PO: I do when it comes to longwear, since you want your foundation to last. You don’t want to be worrying about it while you’re at your party. The least amount of touch-ups you can do, the better. A little trick that I do for something a little lighter on the skin, is that I mix 50% of primer and 50% of foundation, and it almost makes like a tinted moisturizer. I put that on all over, and it just gives me a really nice, easy-wear foundation. I’ve actually done that on Rihanna a few times, too. There have been a couple times where she just wants a quick, easy foundation, no-makeup, makeup look, and I’ll just mix fifty-fifty and put it on. It makes the skin look super glowy and beautiful and even, but not full coverage. It’s really comfortable, too, for wintertime. HG: How is it working with Rihanna? PO: One of the best collaborations of my life. She’s so creative, and so inspiring, I never have a dull moment with her. She’s not the kind of client that has the usual look. I had a lot of clients in the past where they’ve been like, “Do the usual!” But there’s never a “usual” with her—she’ll never say that. It’s always pushing me to come up with new ideas and concepts. She’s so thoughtful, too. We always do a prep before any kind of event. I’ll come over to her and we’ll sit, have food, talk, watch TV, and we’ll go over what she’s wearing, and kind of do like a collaboration. Sometimes she knows what she wants, sometimes she’s open to my ideas, and sometimes we work together on it. It’s always different, but it’s always a conversation, and always a fun moment with her. I really appreciate that, and how she thinks about the details, and it shows, because every look she does is iconic. As a makeup artist, she’s like my dream client. I get to create these wonderful, creative looks with her, and it’s never boring. I feel like she’s always pushing me to do the next big thing. HG: When Fenty is making new products, does she or the team come to you? PO: Definitely, yes! Sometimes it happens organically, where we’ll be doing makeup, and then I’ll just say, “You know what? I really wish we had this,” or, “I wish the makeup world had this.” And she’s like, “You’re right.” And we’ll think about it. We love to mix. She’s on my page when we come to that. We’ll mix eyeshadow colors, lip colors. That sometimes sparks something, too. Sometimes I think of ideas and I’ll come to her, and sometimes she’ll have things that she’s testing. She’s always testing her products to make sure that it’s right before she actually okays it, which is amazing. We’re constantly using things on her that she’s working on, and she asks for my feedback and what I think about the products. It’s just one of the most creative experiences of my life. HG: Sounds like a dream. For your kit, what are some of the things that you always have to have on you? PO: I always have to have Match Stix on me. They have literally been my lifesaver on many occasions. I’ve actually done a few tutorials for Instagram, and they’ve been huge successes, because I can literally do a full face of makeup with just Match Stix. PO: Yes. I’ve actually done Match Stix on Rihanna’s lips before. We did an event in Italy for our launch there, and she wore one color that’s called Rum on her lips as a lip color and everyone was like, “What is that? Is that a new lipstick?” I’m like, “It’s our Match Stix in Rum!” They’re so versatile, you can use them anywhere. You can use them as foundation, touch-up stick, concealer, contour, blush, lip, eyeshadow. I’ve even used them on eyebrows before. It’s crazy. They’ve just been so helpful to me as a makeup artist in my other jobs that I have as well. It’s my die-hard product that I always have to have on me.